The poster fair at the CAPHC Annual Conference is always one of the highlights of our event, and 2017 was no different. The submissions to this year's event reflected the vast spectrum of activities in research and quality improvement activities that are taking place at many of our member organizations across the country, and from other centres from around the world. 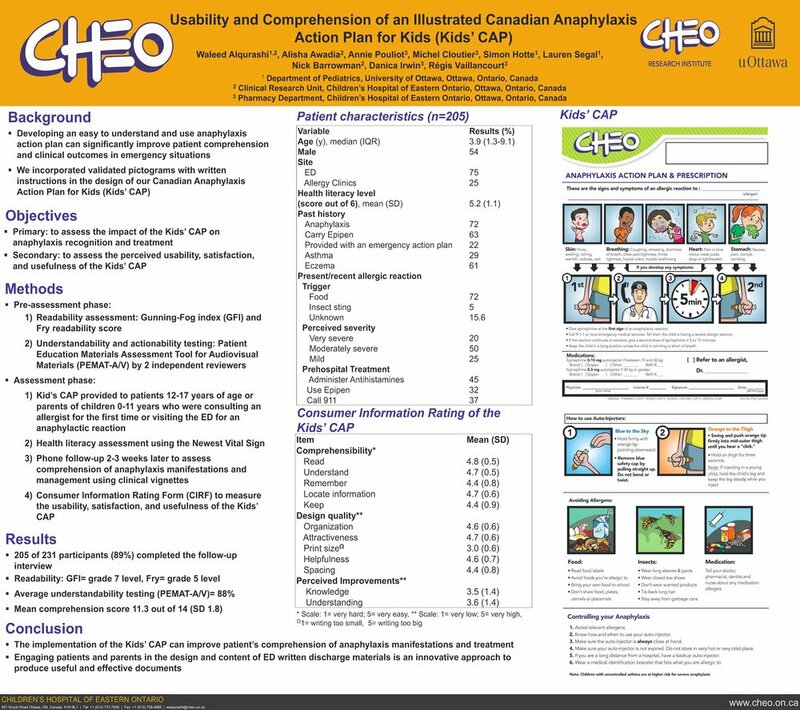 The winners of the poster fair are announced each year at the Annual Awards Luncheon at the CAPHC conference, and we would also like to share the winning posters with you here. The winning posters are selected by a panel of judges whose backgrounds reflect the diversity of the CAPHC community. We have clinicians, administrators, researchers, and families all represented. It is through discussion and consensus that this the diverse group selects the winners, with each individual bringing their own unique perspective and expertise. There is one winning poster selected from each of four categories: Clinical Research, Innovation and Clinical Practice, Family-Centered Care, and System Innovation.